I’m an engineer, environmentalist, entrepreneur, author and dad of 3. 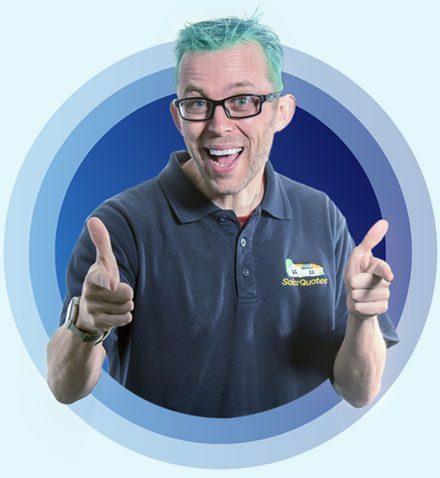 When I’m not running Australia’s #1 solar website, writing about solar energy or riding my mountain bike, I’m deciding what colour to dye my hair. I’ve been working in Australia’s solar industry since 2007, and since 2009 have grown my business, SolarQuotes® into the most popular solar quoting website in the land; with quotes delivered to over 1-in-30 Australian homes. Every time I go to a BBQ, the conversation invariably turns to solar. “What do I need to know to buy solar and get my bills down Finn?”. I’m happy to answer, but a comprehensive response takes about 2 hours. After the gazillionth time of going hungry (Mum says it’s rude to eat and talk), I decided it would be more efficient to just write a book that I could hand out. Two years later here it is! 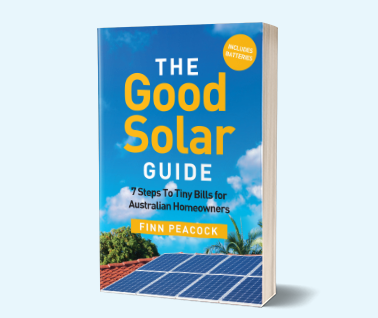 The Good Solar Guide: 7 steps to tiny bills for Australian homeowners. 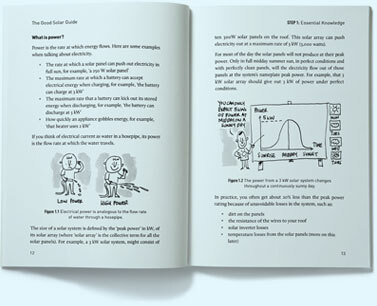 Follow the seven simple(ish) steps in my book and I guarantee you’ll be rewarded with a great value solar power system that will deliver low bills for decades. 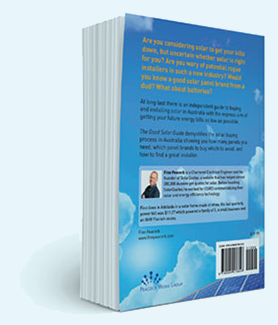 Learn more about the Good Solar Guide and download the first chapter, free!